New 'BATTLESHIP' Image From Universal Reveals Rihanna & A Big Gun! A new image has been unveiled from Universal's upcoming 2012 summer blockbuster Battleship. The image reveals a new glimpse of Rihanna. The sci-fi Hasbro game-turned-action-blockbuster is directed by Peter Berg [Hancock] & stars also Liam Neeson, Alexander Skarsgard, Brooklyn Decker, Taylor Kitsch & Josh Pence. Battleship shows human battleships battling alien battleships in theaters May 18th 2012. Hit the jump to check out the image. Synopsis: "Peter Berg (Hancock) produces and directs Battleship, an epic action-adventure that unfolds across the seas, in the skies and over land as our planet fights for survival against a superior force. 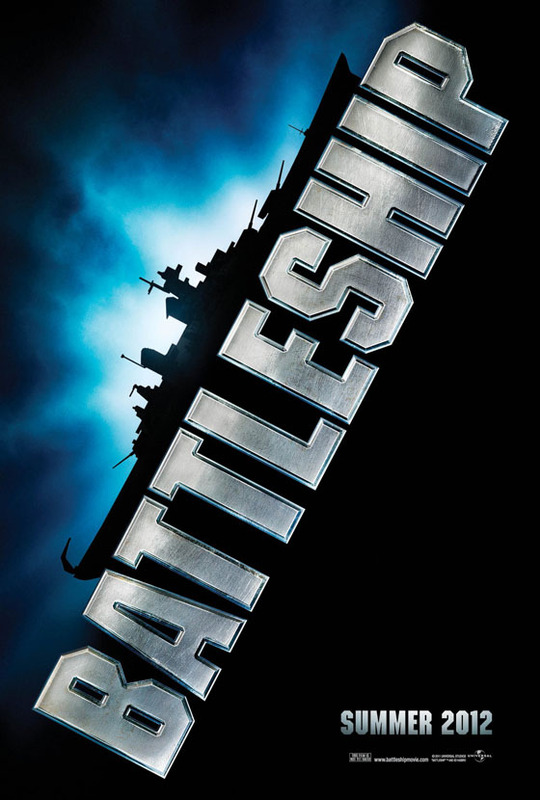 Based on Hasbro’s classic naval combat game, Battleship stars Taylor Kitsch as Lt. Alex Hopper, a Naval officer assigned to the USS John Paul Jones; Brooklyn Decker as Sam Shane, a physical therapist and Hopper’s fiancée; Alexander Skarsgard as Hopper’s older brother, Stone, Commanding Officer of the USS Sampson; Rihanna as Petty Officer Raikes, Hopper’s crewmate and a weapons specialist on the USS John Paul Jones; and international superstar Liam Neeson as Hopper and Stone’s superior (and Sam’s father), Admiral Shane." Click the image for a larger view, which debuted over at RihannaDaily. The trailer is below. I'm reading: New 'BATTLESHIP' Image From Universal Reveals Rihanna & A Big Gun!Tweet this!